more clients is not MORE marketing. …and that’s assuming that your marketing works. But that doesn’t mean that those leads and prospects are going to become paying clients. The only thing that has direct influence on you getting more paying clients is your ability to sell yourself, your service, and the value the buyer receives by virtue of being a client. Here’s the life cycle of your business. As you can see, SELLING is the only thing that translates into more clients. Selling (Persuasion) = more clients. Systems = freedom and sanity. Client experience = client retention. I can’t tell you how many times I’ve seen business owners spend a ton of money on lead generation, only to lose the sale because they didn’t know how to sell. If you’re good at what you do, if you know you can deliver the results, and if your clients love working with you; then you have an ethical obligation to sell. Now, most business owners have a hang up with selling because the first thing they see in their mind’s eye is a used car salesman. That’s exactly what I thought about sales people – slimy used car salesman type. Sure, that’s one type of selling – if you can even call it that, but that’s NOT the type of selling that you should be doing. Selling, as it relates to our industry, is nothing more than a transference of feelings. It’s persuasion. I’ve sold over 100,000 personal training sessions in my time. My best sales day was $27,000 in personal training sales. My second and third best days were $23,500 and $13,000 respectively. My best month of selling was just over $74,000 in personal training sales. And one time I even sold $89,705 in personal training in a 43 day stretch. I did all of this by simply transferring feeling and becoming the assistant buyer. …I used to be a fat kid in high school. I could talk passionately about fitness all day long. Enthusiasm and passion do a lot when you’re looking to convert a lead into a paying client. But in addition to enthusiasm and passion you should focus on these four factors that are the core foundation of persuasion. 1: Establish rapport. Be genuine and get to know each of your prospects and leads on a personal level. Likability and trust are critical factors in someone making a buying decision. 2: Give them what they WANT. Every person who comes in to see you has their own reason for wanting to work with an expert in your field. Figure out what they want. Why they are their to see you in the first place, and show them how your product or service will deliver the desired outcome. Tailor your sales process to meet their wants and NOT their needs. You can always give them what they need (in addition to what they want) once they become paying clients. 3: Create massive value. The number one reason why people don’t buy products and services is not money. Sure, sure, they’ll tell you that they can’t afford it, but in reality money is not the issue. The real issue is value. It’s not so much about one’s ability to pay as it is about their desire to pay for your programs. Think out it, if you saw tremendous value in something wouldn’t you find a way to pay for it? Value creation is a byproduct of client experience and results. If you’re not letting your leads and prospects try out your program then you’re leaving a ton of money on the table. Give them the full client treatment from the get go. Show them (don’t just tell them) how you and your products or services are different than any other option out there. 4: Ask for the sale. Most business owners, and I was guilty of this at one point too, are afraid to ask for the sale. They think that asking the prospect to make a decision today would some how be wrong or insulting. Listen, if you run a great business, if you deliver the results and believe you’re worth what you charge, then ask for the sale and don’t just imply it. Make your case. 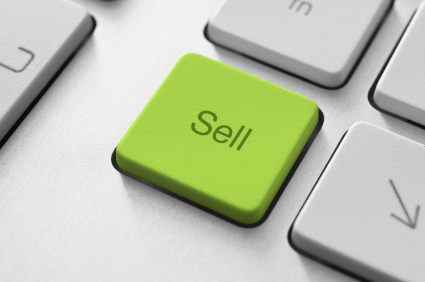 Persuade them, using this assistant buyer strategy, to invest in your products and services. After all, as far as I’m concerned YOU have an ethical obligation to sell your services if you have the solution to their problem.